Fortensky will be out to continue trainer Chris Waller’s profitable run for Star Thoroughbreds. Trainer Chris Waller gets a chance to continue his run of success for the Star Thoroughbreds with Fortensky at the Sunshine Coast on Saturday. Fortensky is set to tackle the Maroochy Surf Club Handicap (1400m) with stable jockey Michael McNab to ride. 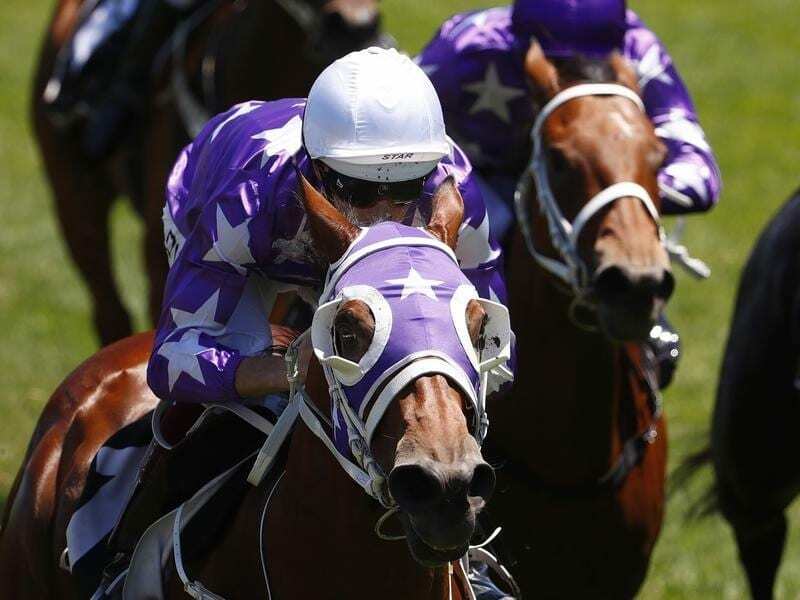 Denise Martin’s Star Thoroughbreds’ purple and white colours have been regular visitors to the winners’ circle since the syndication business started in 1994. It has been no different in recent times with Star and Waller combining for wins with Fiesta in the Group Two Silver Shadow Stakes at Randwick and Cormac at Warwick Farm in the past week. And D’Argento, who resumed with a minor placing behind stablemate Winx in the Warwick Stakes, is another Star Thoroughbreds horse tipped for big things during the spring. Fortensky has been in Waller’s Gold Coast stable since February when he scored a freakish win at Doomben after jumping poorly. The gelding has failed to win in six starts since including a first-up eighth at Doomben two weeks ago. Waller’s Queensland foreman Paul Shailer said Fortensky had been run off his feet in a race where the tearaway leader just kept going. “He drops five kilos and the 1400 metres suits much better,” he said. Comeback jockey Ryan Maloney continues to build his connections with another key ride for Newcastle trainer Kris Lees. Maloney has taken Queensland racing by storm since moving north to take the job as stable rider for Toby Edmonds on the Gold Coast. He is second on the metropolitan premiership with eight winners, two behind Jeff Lloyd. While Maloney’s winners have mainly been for Edmonds, he has been building a solid support base from other trainers including Lees. Maloney won on the Lees-trained Dal Cielo last Saturday and impressed the stable’s Queensland representative Mel Eggleston. “He is a very experienced jockey and he will make a big mark up here,” Eggleston said. Maloney has six rides at Caloundra on Saturday with the Lees-trained Guard Of Honour the best of them in the Angove Wines Handicap (1000m). Guard Of Honour hasn’t run since winning the Bat Out Of Hell at the Gold Coast on May 5 but is a noted first-up horse who has trialled well.